Please join the University of Sydney School of Architecture, Design and Planning for a special Gala event, featuring a keynote lecture by international guest and world renowned architect, Daniel Libeskind of Studio Libeskind. In this talk, Daniel Libeskind will open the door to his unique creative process, revealing a selection of his visionary works, including both built and unrealised, major commissions and unexpected favourites. He will explore the Studio Libeskind design rationale that in order to make great places, you must remember the past and envision the future. We also invite you to join us for a cocktail reception following the talk. 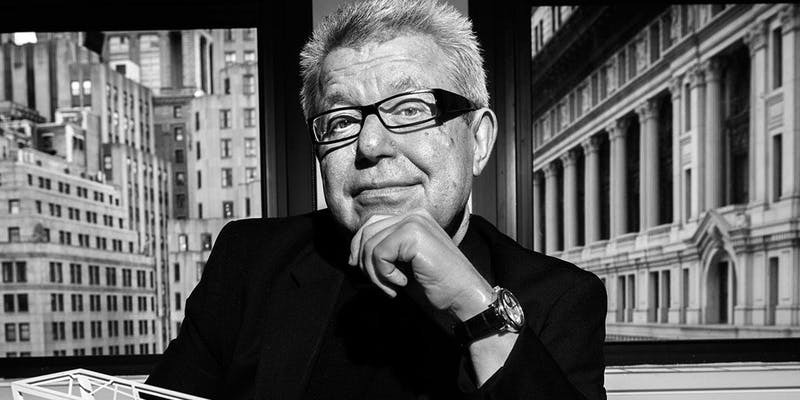 Polish-American architect, Daniel Libeskind is an international figure in architecture and urban design. He is one of the foremost architects of our time and is a self-proclaimed rebel celebrated for innovative, site-conscious designs, including the Jewish Museum Berlin and the master plan for New York’s World Trade Center Redevelopment. Libeskind’s architecture is resonant, original, and sustainable and is informed by a deep commitment to music, philosophy, and literature. He established his architectural studio in Berlin, Germany, in 1989 after winning the competition to build the Jewish Museum in Berlin. In 2003, Studio Libeskind then moved its headquarters from Berlin to New York City having won the competition for the World Trade Center master plan, which is being realised in Lower Manhattan today. Libeskind speaks widely on the art of architecture in universities and professional summits. His architecture and ideas have been the subject of many articles and exhibitions, influencing the field of architecture and the development of cities and culture.